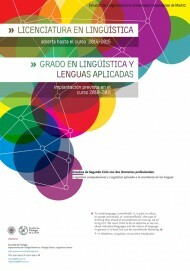 The goal of this poster was to publicize and inform about the new Degrees in Linguistics of the Faculty of Philology (UCM). 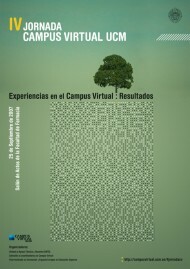 The fourth conference of the Virtual Campus reflects on the experiences of the last four years. Roots suggesting a binary code are the nutrient and source of a tree symbolizing the Campus.